Dragula has been cleaned up. While testing the video mode/jackpot option wasn’t acting right. After completing the base mode (spelling Dragula running the center ramp), you get 2 options. Shoot left orbit to start Dragula video mode, or shoot right orbit to start jackpot mode. After you come out of video mode, you can pick a new mode to play. If you start jackpot mode first you get an extra ball to go with it. If you start video mode, you don’t get the extra ball if/when you beat Dragula mode later on. Once in jackpot mode (with or without the extra ball) you can shoot for the advance jackpot targets (Living Dead Girl coffins) and claim jackpots up the center ramp. And/OR hit the top right targets to collect car parts. Once you collect enough car parts, Captain Spaulding invites you to the upper playfield to get some gas. Hit the gas target for an extra 250K. If you beat Dragula more than once and you are doing jackpots, the mode will be timed. You can put the 20 seconds back on the clock by hitting Advance Jackpot, or claiming a jackpot. I’ll need to do another update to include a super jackpots after collecting 3..4.. 5.. etc jackpots. Mode selection has been updated. Before I would have a 3 second timer that would reset after flipping through modes. Now you hit both flippers to select. Flipper Code has been added. You can activate this in the main menu settings screen. One is to set it in record mode, the other is for when it’s set. I’ll have to add a 3rd option for operators who don’t want people trying to guess the code. Flipper code is for changing adult mode while in attract mode so you don’t need to open the door. When in attract mode, hold both flippers for 10 seconds. The backglass will flash for 3 seconds. left go of the flippers. When in record mode, you are show a screen with instructions on setting the code. Once the code is set, it will flip the setting to “SET” mode and save it on EEPROM. In SET mode, hold flippers for 10 seconds, BG flashes, let go of flippers.. then enter your flip code when it stops flashing. Entering the code successfully will turn the backglass red when in adult mode, and you’ll certainly hear about it. If it goes into family mode, the backglass will turn green. December 19, 2015 | Bizarro! Source: December 19, 2015 | Bizarro! 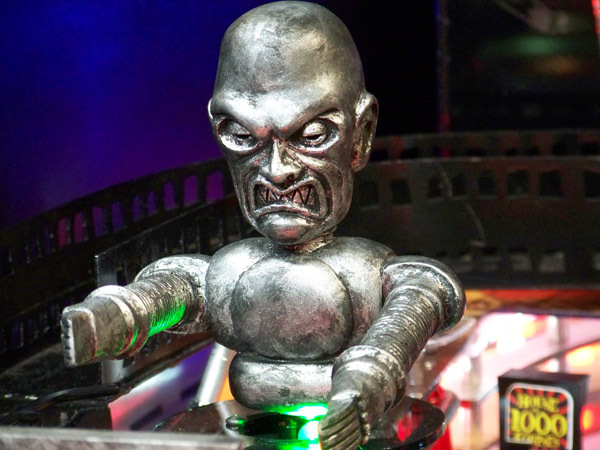 Production on the machines is scheduled to begin in February 2016 from Spooky Pinball. There will be 250 units available for $5995 and 50 units at $6495 which will feature different back glass and side armor. The turnaround for all units is expected to be around 18 months and once the $1000 deposit is in, you will receive a a game number. 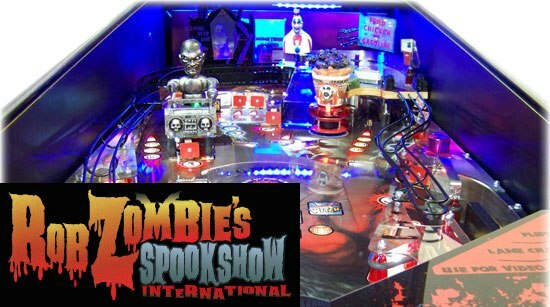 Spooky Pinball’s Rob Zombie Flipper Game Ships In February | Articles | Vending Features | Vending Times Inc.
BENTON, WI — Boutique flipper game maker Spooky Pinball LLC has announced the upcoming release of its Rob Zombie’s Spookshow International. The pinball machine, according to the Benton, WI-based company’s website, will begin shipping in February. It’s the company’s second pin title, following America’s Most Haunted in 2014. 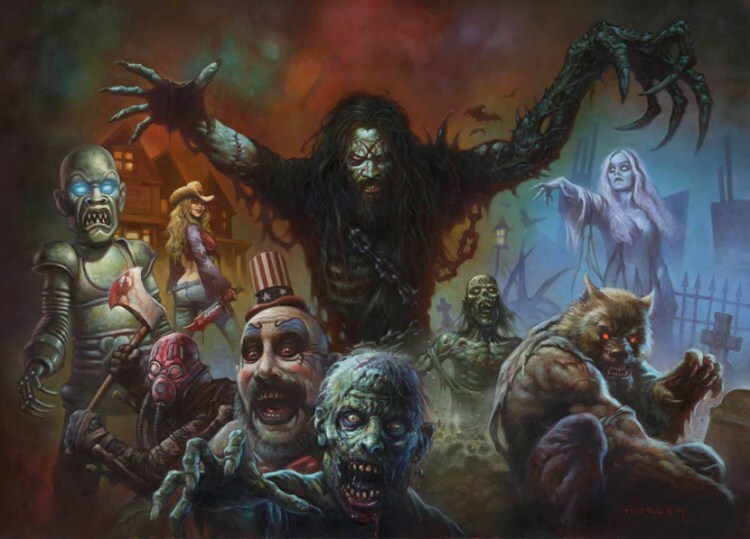 Source: Spooky Pinball’s Rob Zombie Flipper Game Ships In February | Articles | Vending Features | Vending Times Inc.
Did you know that there’s a Rob Zombie pinball machine coming in 2016? 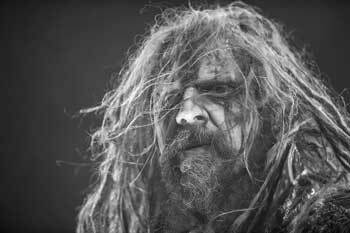 It’s called Rob Zombie’s Spookshow International, it’ll start shipping out in January and it’s limited to 300 units total. 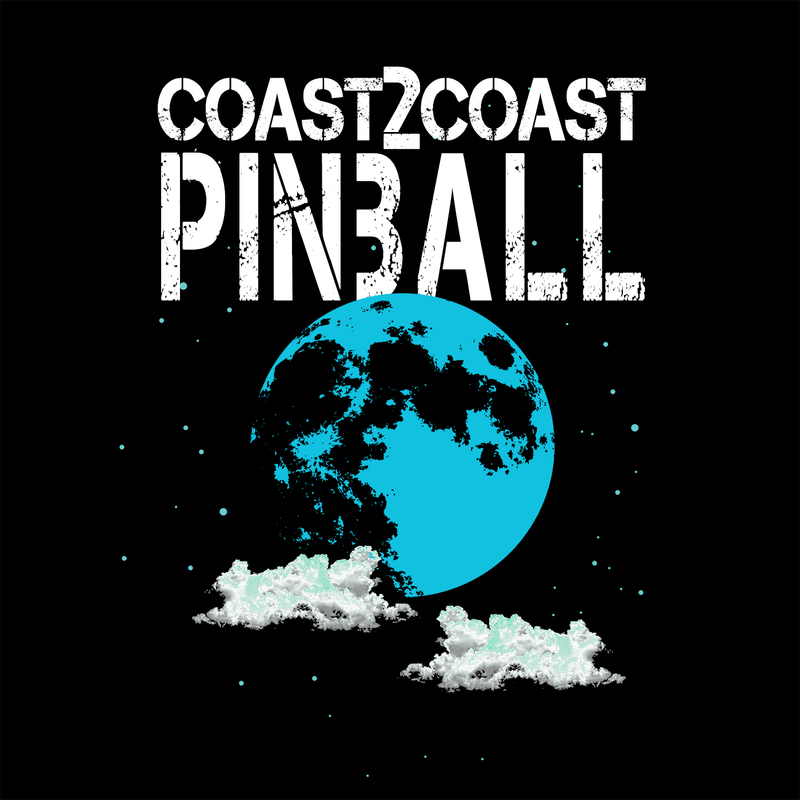 The whole thing is aptly being handled by a company called Spooky Pinball and there’s even a trailer you can check out below!